• When cooking, use extractor fans and cooker hoods which are vented outside to manage the amount of condensation produced from steam. • Good insulation and adequate heating will keep a building warm. • Regular ventilation of rooms will prevent stale, moist air which can lead mould growth. 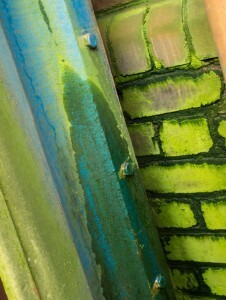 • Planned preventative maintenance, such as repairing any leaks, will help contain the spread of mould. • Thoroughly cleaning kitchens, bathrooms and utility rooms will help prevent the conditions for mould growth. • Thorough cleaning of walls behind kitchen units and cupboards will help prevent the conditions for mould growth. • Thorough cleaning of food preparation areas and refrigerators, particularly refrigerator seals, is required. Do not let food decay. • Leave wardrobe doors ajar to ventilate clothes as mould can begin here. • Check tumble dryers are vented outside during use, or use a condenser-dryer to ensure good ventilation. • Get rid of old foam pillows and mattresses where mould spores can begin. • Mould has a tendency to start under wallpaper that is beginning to peel. Tackle any areas of dampness on walls and remove wallpaper. It may be better to paint the walls. • Remove piles of old papers/stored documents where mould can begin and then spread to other areas. • Keep indoor plants to a minimum and change the soil regularly as mould grows on the surface of the soil. • Do not use humidifiers as humidity will encourage mould formation. • Use a wash basin containing water and a 1-to-8 bleach/water solution. In addition there are chemical solution products on the market for to help with cleaning mildew and mould. Ensure that the instructions are followed carefully. • Contain the mould with the wet cloth and carefully wipe the mould off the wall. Be careful not to brush it, as this can release mould spores. The bleach in the cleaning mixture kills the mould. • If the mould doesn’t disappear after light scrubbing, reapply the cleaning mix for a couple of minutes. Then lightly scrub again. • When the cleaning is finished, use a dry cloth to remove the moisture from the wall. Dispose of all cloths used on the cleaning of the mould. • Don’t mix ammonia or any detergent containing ammonia with bleach. The combination forms a poisonous gas. • As a further precaution all the surfaces in the room should be thoroughly cleaned by wet wiping to remove any spores.